Following the directives of the Economic Co-ordination Committee (ECC) of the Cabinet, the state run grain trader has planned to import 0.3 million tons of urea next month for Kharif season. Sources told Business Recorder on Wednesday the ECC has given urea import task to the Trading Corporation of Pakistan (TCP) to avoid any shortfall in current crop season. TCP is all set to import urea from international market and the import tender is being issued on Thursday, inviting bids from international suppliers with a minimum quantity of 50,000 tons of urea. "TCP has already made a strategy for the import of quality urea, however ahead of sufficient local stocks, the TCP has decided to import urea through normal tendering process instead of gallop tender," they added. As per the directives of the ECC, TCP has issued an international tender for import of urea and invited bids from pre-qualified foreign suppliers for supply of maximum 0.3 million tons (10 percent more or less seller's option) in bulk through world-wide sources on Cost and Freight (C&F) basis subject to terms and conditions. 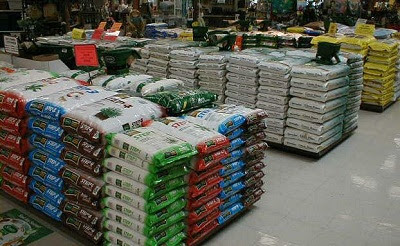 The TCP has strictly asked suppliers for supply of urea in accordance with the standard and specifications as per prescribed by Pakistan Standard & Quality Control Authority (PSQCA) and the import policy. According to TCP interested pre-qualified urea suppliers may submit their bids in sealed envelops at TCP offices till May 21, 2012 and bids will be opened the same day after half an hour. TCP has mentioned the urea import bids as less than 50,000 tons (minimum quantity) will not be accepted, while successful bidder will also be required to supply as per schedule. "Total quantity of urea must reach the designated port in Pakistan in accordance with the shipment schedule given in the tender document," TCP tender said. "Assuming the shortage during Kharif season, during last week, the ECC had decided to import urea for local consumption, however it received official directives for the import of urea on Wednesday," sources said. The Corporation was aware of the urea import decision, therefore it was already prepared for the import of urea, a high official of TCP said and added that "we are closely monitoring the international urea market and arrangements for import of the commodity has almost completed."